Butler Family Dentistry is located at 819 Main Street in Tell City, Indiana. We are a General Dentistry practice offering preventative, restorative, extractions, endodontics, dentures, partials, implants, cosmetic and some orthodontic services. We cater to adults and children of all ages. Dr. Matthew Butler, DDS and Dr. Meghan Butler, DDS are a husband and wife team. They both graduated from the Indiana University School of Dentistry with a Doctorate of Dental Surgery in 2005. Both are second generation dentists. Dr. Matthew Butler’s father, Dr. Allen Butler opened his practice in 1975 on 12th Street in Tell City, Indiana. Dr. Meghan Butler’s father, Dr. Marcus Miller practiced in Richmond, Indiana. After graduating dental school, Dr. Matthew Butler and Dr. Meghan Butler practiced at Madison Family Dentistry in Madison, Indiana. Also, Dr. Meghan Butler practiced at Advanced Dental Care in North Vernon, Indiana. In 2007, Butler Family Dentistry, LLC was opened at the present location with Dr. Allen Butler, Dr. Matthew Butler and Dr. Meghan Butler practicing together. In 2011 Dr. Allen Butler retired. 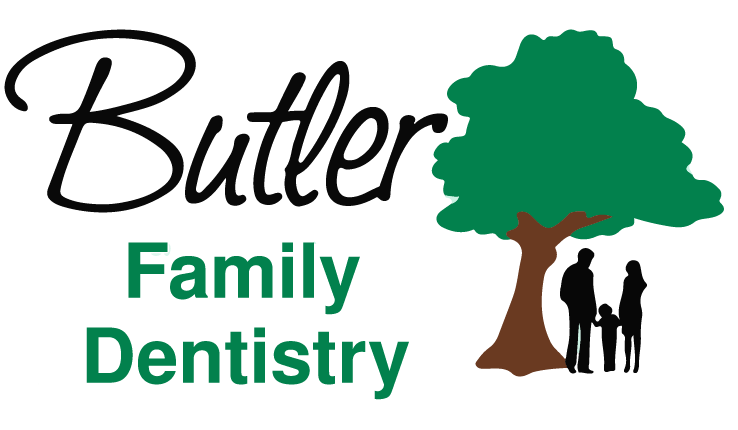 Butler Family Dentistry, LLC is committed to providing exceptional care to all our patients. The office is equipped with 10 operatories, 2 are designed to accommodate children. We offer nitrous oxide (laughing gas) at no charge. Our staff consists of 2 expanded duty auxiliary assistants, 3 dental assistants, 4 hygienists, and 3 front office staff. We accept most dental insurances. We participate in Delta Dental, Aetna, Dental Health Options and Anthem Dental networks. Also Medicaid, HIP State Plan Basic, HIP State Plan Plus, MHS and CareSource Indiana. We offer financing through CareCredit. We accept cash, check, MasterCard, Visa and Discover. Theme: butler-family-dentistry by Ian Jarboe.